This latest release of Oracle Service Cloud and Oracle Field Service Cloud includes new functionalities and enhancements that empower our customers to streamline and simplify the service experience for agents and consumers. 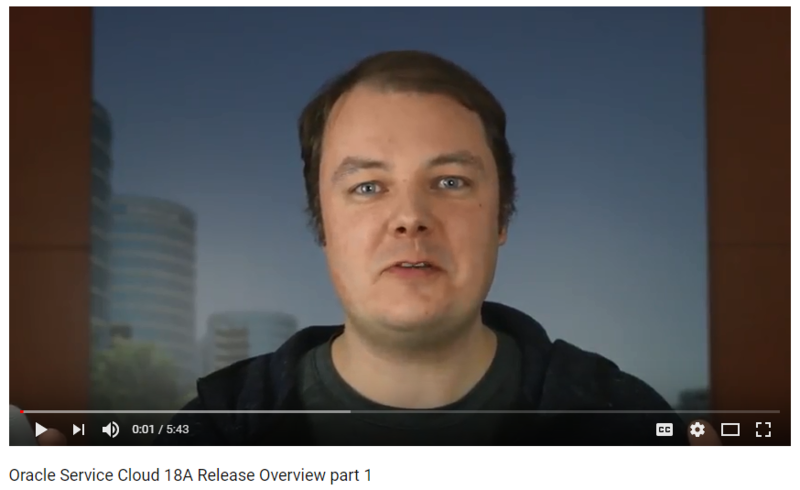 The 18A Release includes some exciting new features in Service Cloud including Answer Versioning for Knowledge Foundation, CKEditor for Answers in .NET, and Workspaces for Agent Browser UI. 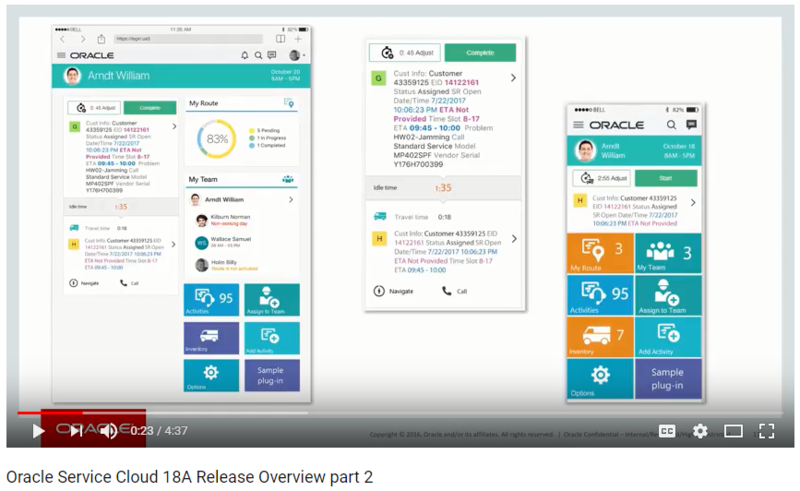 To learn more, watch the Oracle Service Cloud 18A Release Video, Part I and Part 2. For more detailed information on these and a rest of the features in the 18A release please visit the resources below. Field Service Cloud features added in 18A is amazing. Finally..!! the long waited answer versioning.